Sebuah perkenalan perkembangan para adviser untuk produk-produk Colantotte. Ryo Ishikawa was born in Matsubushi, Saitama, Japan on September 17th 1991. He started playing golf at the young age at the young age of 15 and 8 months, Ishikawa became the youngest winner ever of a men's regular tournament on the Japan Golf Tour by winning the Munsingwear Open KSB Cup. His success continued as he became a professional in 2008. By the end of the 2008 season he was the youngest player to reach the top 100 in the Official Golf Rankings. Ryo currently is playing in both the Japan Golf Tour and the PGA Tour. He has won a total of 11 professional tournaments, 10 of them being on the Japan Golf Tour. 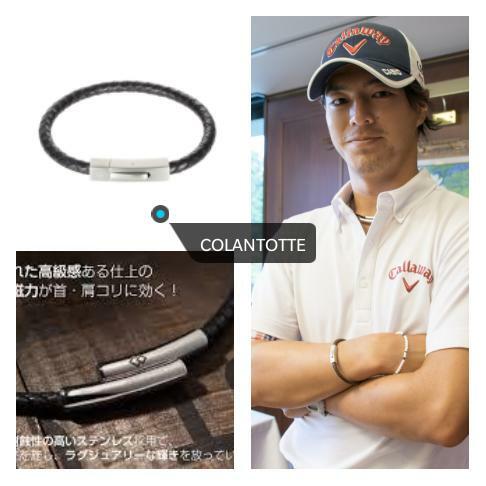 Ryo has been a long time ambassador of the Colantotte line of products. He is currently wearing several Colantotte products including the Boost Wristband, Tao Necklace, and R-Supporter Win. "I believe Trion:Z is part of my success!" In 2003 at the Oval, Anderson set the record as the youngest Englishman ever to take a hat-trick. He also became England's first player and the 15th in the world to record an ODI hat-trick. He is only the 17th Englishman to collect five wickets in an innings on debut. Anderson's is England's second-highest wicket-taker in ODI's, behind Darren Gough. He is the first Englishman to dismiss India's golden trio of Rahul Dravid, Sachin Tendulkar, and Sourav Ganguly in the same innings. 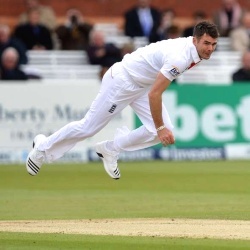 Jimmy Anderson is the leading wicket-taker for England in all formats put together. 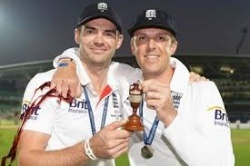 In Feb 2013 he took his 528th wicket for England, overtaking Ian Botham. His haul of 5/23 against South Africa is England's 8th best performance in ODIs. With 12 five-wicket hauls to his name in Tests, he stands 10th among England's five-wicket haul specialists. "Anything that can give you the edge at this level of sport is a huge benefit. Colantotte gives me an advantage out on the course." In 2005, Edoardo became the first European to win the US Amateur Championship for 95 years joining the likes of Arnold Palmer (1954), Jack Nicklaus (1959, 1961) and Tiger Woods (1994-1996). As US Amateur Champion, Edoardo immediately gained a global profile playing in 3 Majors in 2006. After just 6 months as a professional Edoardo won his first tournament, the Club Colombia Masters, closely followed by a win at the Tusker Kenya Open. After a wrist injury in 2008, 2009 was the breakthrough year for Edoardo with five tournament wins and a series of top 10 finishes. In 2010 Edoardo continued his incredible form and propelled himself into the World’s top echelon of golfers following a string of fantastic results both in Europe and in the US. His 2nd place finish at the Arnold Palmer Invitational, along with his European Tour wins at the Barclays Scottish Open and Johnnie Walker Championship, saw him climb into the world’s Top 15. His dramatic win at the Johnnie Walker Championship provided Monty with the easy decision of picking Edoardo as a member of the winning 2010 European Ryder Cup team. In 2011 Edoardo had his best Major finish to date coming 11th at The Masters, and also recorded four further top 15 finishes on the European and PGA Tours. Edoardo continued to post good results in 2012 and 2013 having finished 11th at the Open de Andalucia, 6th at the Trophee Hassan in Morocco and 2nd at the Maybank Malaysian Open. These results came despite the wrist surgery that Edoardo had towards the end of the 2012 and the thumb surgery at the end of the 2013 season. Now back to full fitness, 2014 could be an exciting year for Edoardo having already posted two top 10 finishes on the European Tour - 9th at the Dubai Desert Classic and 10th at the Tshwane Open. At just 25 years old, Oliver Fisher is one of the best young English golfers in the world at present and has been touted by many to be a future major champion and a truly global star. Oliver has enjoyed great success throughout his playing career to date, both as an amateur, and more recently a professional. The young Essex star’s career began in 2005, when he became the youngest competitor ever to play in the Walker Cup. Although only 16 years of age, his selection came as no surprise as he’d shown great form throughout the 2005 season, finishing 2nd in the Brabazon Trophy and also reaching the last 4 of both the English and British Amateur Championships. Fisher also picked up his second consecutive Faldo Series Title at Celtic Manor in September 2005 setting a new amateur course record 63 in the process. Oli started the 2006 season as the No.1 ranked amateur in the world and continued his good form with a string of impressive and consistent performances throughout the season. A personal highlight in 2006 was a stunning victory in the St Andrews Links Trophy around the famous Old Course at St Andrews. At 17, Fisher became the youngest ever recorded winner of the event with a winning total of 281, 7 under par. This performance proved to be the catalyst for a very fine finish to the 2006 season including a 2nd place finish in the English Amateur and 5th spot in the World Amateur Championships. With a glittering amateur record and showing maturity beyond his years, Oli went on to win the 5th Card at the 2006 European Tour Qualifying School, the youngest ever Britain to achieve this impressive feat. The young star had some stunning results as a rookie on the European Tour, including runner up at the MAPFRE Open de Andalucia in 2008. Oli struggled during the 2009 season and as a result failed to retain his European Tour card. However, he proved that he was back to his best with some great results to begin the 2010 season, earning enough prize money to retain his European Tour card for 2011 within just four tournaments! Oli really made 2011 his year, and in August he had his first professional win on the European Tour at the Czech Open. His calm attitude and charisma became the talk of the Tour after he held off a strong field to win the event by two shots, at 13 under par. When the final putt fell, Oli was truly humbled to see the number of his professional friends who were waiting to cheer him off the green, a sure sign of the support and respect Oli has gained from his peers during his short time on the professional circuit. 2012 and ‘13 were difficult years for Oli; however he’s currently showing his true class and a real consistent return to form in 2014 having finished inside the Top 25 in 5 out of his last 7events. This includes a runner-up finish at the Africa Open where he was narrowly defeated in a playoff. Oliver Fisher is poised to set professional golf alight both on and off the course. He is truly one of the greatest talents to emerge in the modern game and it will not be long before he makes a serious mark on the professional circuit. Fisher has the game, the personality, grace and style to become a real star and the future face of British golf. "I have used Trion:z for several years now, they help me in all aspects of life, not only during sport where I never play without them but also at home when relaxing. I wouldn't be without one at any given time!" I started playing from a young age at primary school, and then began playing for Taunton Deane under 11's at the age of 6! I then began as an all rounder but took up wicket keeping at under 13's and have been a keep batsmen ever since! 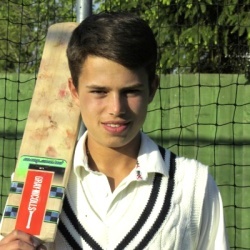 During my cricket career so far i have played the following; Taunton Deane CC Youth System, Taunton Deane 3rd, 2nd and currently 1st XI, Lynton and Lynmouth CC, Richard Huish College 1st XI, South west somerset youth age groups under 11's-15's, county cricket for somerset youth age groups and somerset Stagglers. I am also a Level 1 ECB Coach and have couched under 13's at Taunton Deane at the age of 17 and had success in the league, local and national cup! I am currently coaching the under 15's squad. In the future I am looking to play cricket for as long as possible at the highest level I can access. I am also looking to progress through the coaching levels and coach at the club and go into coaching as a career. "I have been using Trion:z for a few years now and I can always rely on the products to help me at all times not only during or after sport but also when I am relaxing"
I have been playing cricket since a very young age, my cricket career started at Hazlegrove prep school where I started to play in year three at the age of 9. As I progressed through prep school my cricket also progressed and I got my first call up to play for Somerset u11’s, from then I carried on through the Somerset set up until the age of 13. At which point I decided to move to Dorset because I had left Prep school and was moving to Sherborne Boys School. When I was 15 I then took a big step forwards and got asked to play for Gloucestershire academy. This had always been a goal for me and it was great to know I had achieved it. Since my first year at sherborne I have played for the 1stXI. I feel that playing in the 1sts has helped me progress my cricket massively with the intensity being much higher and playing with some older boys. My goals for the future are to be selected for the southwest of England. And then to hopefully go on to play professional cricket. 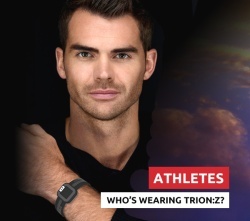 We at Trion:Z are so confident about our products and the benefits, and so too are many Athletes, Tour Golfers, Triathletes, Coaches and Players of a wide array of sports. There are 1,000's using our products to improve performance, aid recovery and injury, however as we can't publicise them due to name and picture rights, we cannot list them on our sites. Therefore we adopt a policy of endorsing a selection of key Athletes so we can use their images and information in this section. Team: Bangor Cricket Club, Irish Universities, Instonians Cricket Club and Northern Knights. 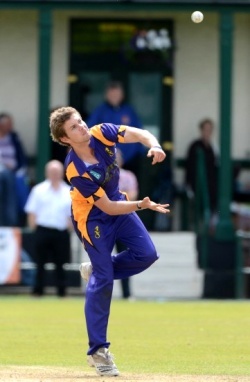 Zach Rushe is a left arm Orthodox Bowler and middle order Batsman. 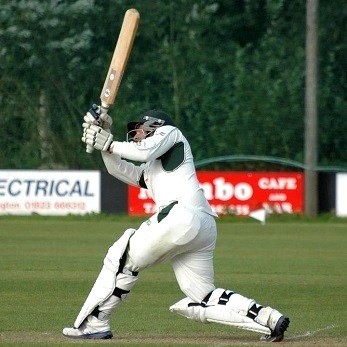 Previously played cricket for Bangor Cricket Club and then moved to Instonians in 2012 to play Premier League Cricket and then was called into the Northern Knights Squad. Zach has captained throughout School, University and Irish Universities and has aspirations to play for Ireland. "I have worn Trion:z products for a number of years, I feel they benefit my all round game, you will never see me without one on"
Tom is 17 years old! 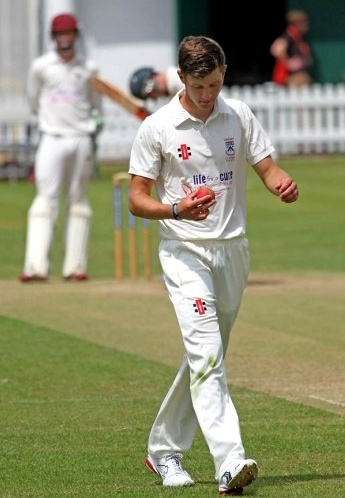 He is part of the Gloucestershire Academy and in the 2013 season held a summer contract with Gloucestershire. 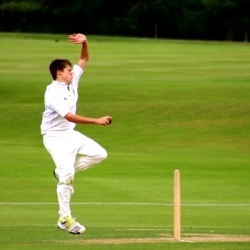 Tom played 10 games in the Gloucestershire 2nd team, starting aged 16 at the Kia Oval against a Surrey side with 6 players who have represented England. An opening batsman and right arm off spin bowler. Tom won the under 17 Yorkshire bank player of the season 2013. Currently studying A Levels at Clifton College in his final year, he is entering his second season as school 1st team captain. 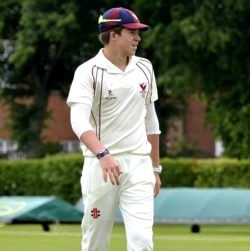 Tom has come up through the age groups with Gloucestershire and is working hard to try and secure a full contract with the club, in the 2014 season he will be looking to make full use of his summer contract and press a case for a first team call up. "By using the brilliant products trion Z provide, my cricket is greatly enhanced due to the fact that I can always rely on the Colantotte range optimizing my performance whenever required." Cricket started for me at the young age of 7 playing at my local club, Medbourne CC, a nice club to start with as they were so friendly and good to me as a kid wanting to play as much as he could. By the age of 9, I was playing under 11 and 13 hardball cricket and a year later playing for the under 15 side. This was a crucial part of my cricket life as it was where my real love for the game began. Moving on from this, I started secondary school at Stamford School in Lincolnshire. Here I was captain of my age groups from year 7 to year 9 inclusive. From year 10 onwards I played for the school 1st XI, something which had always been a goal as soon as I started there. I will never forget the day I was handed by baggy cap by David Colley at Oundle School on a freezing, damp day, as every English summer day is! However, my proudest day as a Stamfordian cricketer would be when I lead the team out as captain for my first school fixture, a moment that I was waiting for since my first game in year 7. By this time, I had started playing for Leicestershire young cricketers, starting at 13 and going all the way through to 17 years old. This was where my cricket progressed the most, mainly due to all the fitness sessions as I was not the slimmest youngster they had! Finally, the most important chapter of my cricketing career so far was joining Kibworth CC in 2011. This club has been so vital in me maturing as a cricketer, learning to play the men’s game in the Leicestershire Everards Premier Division. I have come to be part of a fantastic club both on and off the pitch, and feel privileged to be part of such a well-run club. During my short career so far, I have been fortunate enough to play for many teams all of which have been a pleasure to play for. Likewise, moving forwards, I wish to progress my cricket to one-day, hopefully becoming a professional in English counties cricket. With this goal in mind, I am going to play abroad in Cape Town for Western province Cricket Club and in Melbourne, playing for South Yarra, hoping to improve and progress my game further. I have always worn Trion Z bracelets for as long as I can remember. I came up through the cricketing ranks in Cambridgeshire playing age group cricket. I joined Middlesex CCC Academy at the age of 13 and made my 2nd XI debut with Middlesex CCC at 15. I am now in the England Development Programme and have represented England U17's Development Programme in two series. Away in Sri Lanka April 2014 and a Home series v Pakistan August 2014. It is my dream to play 1st team cricket for Middlesex and Test Cricket for England. "As a wicket keeper you can be prone to knocks on the hands. 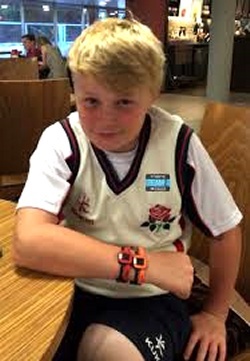 Since wearing the band I feel recovery has been assisted"
I am a wicket keeper/opening batsmen who recently turned 13. I have played cricket for as long as I can remember and represented Wigan District aged 9 before captaining the u11’s. For the past two seasons I have represented Lancashire Cricket Board at u12’s and u13’s. This summer has been very exciting as I was awarded man of the match at the inter-regional u13’s final held on the main square at Old Trafford, the home of Lancashire CCC. I celebrated a match winning 50 and went on to score 67 off 64 balls. At club level; I play for Wigan CC in the ECB Liverpool Competition and made my 2nd XI debut aged 11. Along with cricket I love fishing and was recently featured on the Sky TV programme "Tightlines" as a young angler of the year. My goal is to continue my development at Lancashire CB working hard to establish myself as the first choice wicket keeper in Wigan CC's first X1 by the time I am 15. "I love wearing the Flex Loop; I think it looks great and massively helps with my recovery from training and matches"
ames Taylor is one of England’s brightest young stars with the bat. No other 23 year-old batsman in the country boasts the all-round domestic batting stats that James does. Having made his ODI debut in 2011 and his Test debut in 2012, he has an exciting & long career ahead of him. James tasted domestic success by winning the Twenty20 Cup with Leicestershire CCC in 2011 and has now moved to Nottinghamshire CCC in search of further honours. Matteo Manassero is a young Italian professional golf player – born on April the 19th 1993 in Negrar, in Verona surroundings – the youngest ever to win a European Tour. After several national titles and a brilliant amateur career, 2009 was the best year ever for Matteo. He won the Medal Italian Championship and entered the Italian Open Top 25. Then Matteo won the British Amateur Championship, becoming the youngest winner ever in golf history. In the same year, he placed 13th at Open Championship, earning the Silver Medal, doubling the record reached during the British Championship. In April 2010, Matteo capped his outstanding amateur career with an historic performance at The Masters. He became the youngest player ever to win the tournament (16 years, 11 months). In his first three months as a professional, Matteo placed 2nd at Rolex Trophy, one of the Challenge Tour stage, and 3rd at the Omega European Masters. In April 2011, two days before Matteo’s 18th birthday, he won his second European Tour title – The Maybank Malaysian Open in Kuala Lumpur. Since this victory, Matteo has been among the Top 50 in the world ranking and was involved in the European Team that took part to Seve Trophy. 2013 was the year of coming of age. He won the BMW PGA Championship in a spectacular play-off, setting the record for youngest winner in the history of the event, which is considered second for importance only to the Open Championship. For more than three years firmly among the Top 50 in the world ranking,Matteo has reached his highest position with the 11th place gained with a fantastic victory in Wentworth. Now Matteo is the Italian golf ambassador in the world. He doesn’t represent only the golf future, but also the growing popularity gained by this sport in countries like Italy, where it has been considered snobbish for a long time. Off the pitch, Matteo is a Milan’s fan and a proud supporter of The Seve Ballesteros Foundation, The Laureus Foundation, The Associazione Dravet Italia and A.B.E.O. (Associazione Bambino Emopatico Oncologico). 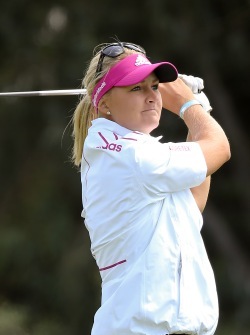 Anna Nordqvist was born in Eskilstuna, Sweden on June 10, 1987. Nordqvist started playing golf at the young age of 13 and won Swedish Junior Player of the year in both 2004 and 2005. British Girls' Open Amateur Champion in 2005, she received a bronze medal at the European Championship in 2005 and was the runner-up at the British Ladies Amateur in 2006 and 2007. In addition she was part of the successful Swedish team at the European Team Amateur. Her Amateur career continued to flourish when she was Pac-10 co-champion and was named National Golf Coaches Association (NGCA) freshman of the Year, Pac-10 Player of the Year and Newcomer of the Year all during her freshmen year at Arizona State University. In December 2008, Nordqvist tied for 25th in the LPGA Final Qualifying Tournament. She became professional right after that. Nordqvist has had a very successful career winning 2 tournaments including, 1 major in her first year as a professional. She has won a total of 7 professional golf events on various tours, including the 4 on the LPGA Tour. 7 professional wins: 4 being on the LPGA Tour, including 1 major tournament. Brittany Lincicome was born in St. Petersburg FL on September19, 1985. Lincicome started playing golf at the young age of nine years old and won her first amateur tournament that same year. She played in over 100 amateur events winning over 60% of them. Brittany became a professional golfer and joined the LPGA Tour at the young age of 19, after finishing 20th in the LPGA Final Qualifying Tournament. Lincicome has had a very successful professional career having won 5 LPGA tournaments including one Major Tournament: The Kraft Nabisco Championship in 2009. Brittany is known for having a long driving distance, and led the LPGA tour in driving distance in 2005. She is still is ranked 2nd in the LPGA for longest drive. Britany has been a long time wearer of Colantott products. Some of her favorite products include the Color Palette Wristband and the Planet necklace. 5 LPGA championships, including 1 major tournament. Won over 60% off the amateur events she participated in. Madsen was born in Silkeborg, Denmark and plays at Silkeborg GK, the same club which produced Denmark’s greatest player, Thomas Björn . He took up golf at the age of 12 and enjoyed a successful amateur career during which he played in the Eisenhower Trophy while attending Oregon State University. He turned professional in 2011 and promptly won twice on the third-tier Nordic League, earning a place on the Challenge Tour. A consistent second season saw Madsen earn promotion to the full European Tour for 2013. On 24 November 2013, he won the South African Open Championship by a margin of two strokes. He Admits that he wanted to be a footballer as a child, and is a big Manchester united fan. His father however wanted him to play golf from an early age. Morton was finally drawn in when, during the summer holidays as a 12 year old, he was “extremely bored one day” and decided to give it a go. Played for two weeks “from sunrise to sunset” and has been hooked since. Morten did fantastically well in the US Open finishing T28th beating the likes of Tiger Woods, Rory McIlroy and Adam Scott! His run of good form hasn’t finished there as he’s recorded a further 3 top 20 finishes since. Morten’s solid 2013 rookie season saw him comfortably secure his card for 2014 and he couldn’t have started the new season any better, winning the very first tournament, the South African Open, in emphatic style by 2 shots! There is more to come from this young man and he’s a very exciting prospect. Boo Weekley was born on July 23, 1973 in Milton Fl. Boo attended Milton High School, where he participated on their golf team. Weekley turned professional in 1997 and played on mini-tours until 2002, when he qualified for the PGA Tour. In 2003 through 2006, he played on the Nationwide Tour, finishing well enough in 2006 qualify for the PGA Tour again. In his professional career he has won 4 tournaments, 3 of them being on the PGA Tour. His first PGA Tour victory came at the Verizon Heritage in April 2007; His second, defending his title at the 2008 Verizon Heritage. His most recent PGA Tour victory was in 2013 at the Crowne Plaza Invitational at the Colonial. 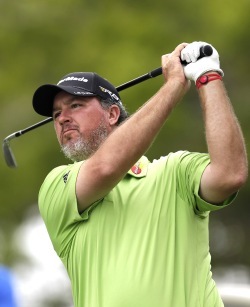 Boo Weekley signed an endorsement deal with Colantotte in March of 2014. He has been a long time wearer of Colantotte products including their earlier product the Wacle Loop Supporter. In 2014 Weakley’s product of choice is the Boost Wristband. Lizette Salas was born in Azusa, CA on July 17, 1989. She started playing golf at the young age of 7 years old. By age 15 she recorded a 62 in a junior event. She continued to advance her golf skills which lead to her getting a Golf scholarship to The University of California. She graduated there in 2011 with a degree in Sociology. During her four years of college she had three collegiate wins, was named the 2008 Pac-10 Freshman of the Year, was Pac-10 Player of the Year in 2009 and 2010, and Pac-10 All-Conference First Team selection in 2009, 2010, and 2011. She was also a NGCA All-American First Team selection in 2009 and 2011. Lizette is the only USC student-athlete to be recognized as an All-American all four years at USC. Salas turned professional in June 2011 upon graduating from the University of Southern California. She competed on the Symetra Tour in 2011, competing in seven tournaments. She made her first appearance at the U.S. Women's Open as a professional and finished T15 in 2011. Salas participated in the 2011 LPGA Qualifying School in the fall of 2011, finishing 20th and earning full status on the LPGA Tour for 2012. Lizette has proven to be a hard worker and driven woman on and off the course, it was important for her to finish college before starting her professional golf career. Lizette was the first in her family to get a college degree. Lizette has been an active member in many volunteer events and organizations including her involvement in the San Gabriel Junior Golf Program, since 2007 which was founded by her father and Jerry Herrara. Since the start of the 2014 golf season, Lizette has competed in 10 professional events, making the cut in 8 of them. She has finished in the top 5, in 3 of these events, and top 25 in 5 of these events. Lizette made her first LPGA win at Kingsmill Championship Presented by JTBC in May 2014. 11 professional top ten finishes, 3 of them in the 2014. "I'm proud an honored to be the new face of Colantotte and their ambassador in the Tennis Industry. I'm already convinced by the effeciency of their product range and glad people will get to know more about those incredible devices." Janko Tipsarevic is one of the most recognisable, unique and outstanding tennis player in the World. With a career-high singles ranking of World #8, Janko has won two Futures and nine tournaments from the ATP World Challanger Series. 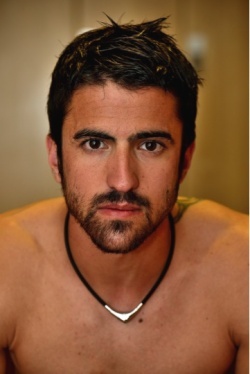 Born in Belgrade, Serbia, Janko began playing aged six and by 2001 had secured the Australian Open Junior title and was ranked World #2 in junior rankings. Maintaining his position in the World top 10 rankings, Janko has claimed the 2003 Aircel Chennai Open title and reached a career high 4th round at 2013 Australian Open defeating Lleyton Hewitt, Lucas Lacko and Jullen Benneteau. 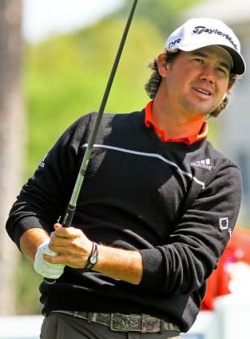 Brian Harman was born in Savanna, GA on January 19, 1987. He attended the University of Georgia where he exceled in both academics and golf. He won the award for highest grade point average 3 times while he was there. He also was a three-time 2nd Team All-American on the University of Georgia golf team. In addition he won the 2005 NCAA Preview and the 2006 Isleworth Invitational. He also won the US Junior Amateur in 2003, as well as the Players Amateur in 2005, and the Porter Cup in 2007. In that tournament, he shot a tournament record 22-under-par 258. 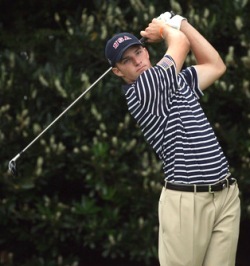 His impressive collegiate and amateur resume earned him a spot on the victorious 2005 and 2009 Walker Cup Teams. Harman continued his success when he turned professional in 2009 finishing in the top 10 of his first 11 of 14 tournaments on the EGolf Professional Tour. He gained his first pro victory at the Manor Classic in 2010. Brian Harman signed an endorsement deal with Colantotte in April of 2014. He has been a long time wearer of Colantotte products. In 2014 Harman’s Colantotte product of choice is the Trion:Z Duo-Loop Wristband. I’m honoured to be part of the team for 2014. After hearing about Colantotte from fellow pros, I gave it a try and I’m pleased with the results. 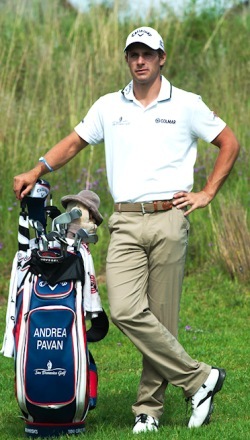 Sport: GolfCountry: ItalyWeight: 84kgAndrea Pavan, from Rome in Italy, looks set to follow in the shoes of his fellow countryman Edoardo Molinari. Having shone on the World stage as an amateur, he turned to the professional ranks of the game following his participation in the World Amateur Team Championships in Argentina in 2010.2011 was a break through year for Andrea with two tournament wins on the Challenge Tour and a 2nd place finish on the Order of Merit to secure his European Tour Card for 2012. Following a tough year on the European Tour in 2012, Andrea has bounced back infantastic fashion with another superb year on the Challenge Tour in 2013. He secured two tournament wins (Germany and France) and five further top 10 finishes to finish the year as the winner of the Challenge Tour Order of Merit.The 2014 season back on the European Tour looks extremely promising for Andrea, and coupled with his athletic build and good looks he has every chance of becoming the next Italian superstar. Ai Fukuhara was born in Sendai, Miyagi, Japan, on November 1, 1988. She began playing Table Tennis at the young age of 3 years old. At age 5, Fukuhara won her first championship at the All-Japan Table Tennis Championships: Bambi Section. Since then, Fukuhara continued to break youngest records one after another. Fukuhara became a professional Table Tennis Player during her fourth grade of elementary school. At the young age of 14, she was selected as a member of the national team for the World Table Tennis Championships held in Paris, becoming the only Japanese player who made brilliant achievement that reached the “quarter-final.” She reached the round of 16 in the individual event at the Athens Olympic Games, and reached the round of 16 in the individual event and that of 4 in the team event at the Beijing Olympic Games. In January 2012, she won her first singles title at the All-Japan Table Tennis Championships (General Section); this victory completed a career Grand Slam of all events at the All-Japan Table Tennis Championships (including age sections, female doubles, and mixed doubles). At the 2012 London Olympic Games, Fukuhara reached the quarter-final in the individual event and got the silver medal in the team event for the first time in the Japanese table tennis history. In 2011 Andy was selected for the GB&I Walker Cup team where he excelled and proved to be an instrumental figure claiming 2 vital points. Finished an impressive 3rd at his first European Tour Qualifying School, in 2011, to secure his card for the2012 season. Andy finished the 2012 season in 145th place on the Race to Dubai order of merit meaning he had to return to the Q school. 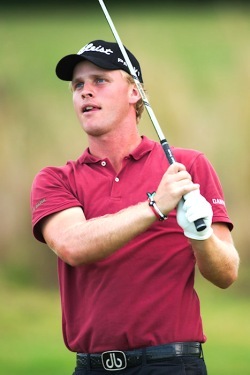 Andy Finished 3rd again at the 2012 ET Qualifying school and regained his ET tour card for the 2013 season. Andy made a fast start to the 2013 season with three top10 finishes at the Alfred Dunhill Championship, Qatar Masters and Africa Open. Andy also finished 12th at the Omega Dubai Desert Classic and T14th at the Volvo China Open. With the birth of his first child, Ruby, coming towards the end of the 2013 season, Andy took a little bit of time off but was able to finish out the season successfully retaining his tour card for the 2014 season. Andy has made a great start to 2014 with 5 top 20 results already including an excellent T5th in the Joburg Open where he shot -7 on the final day and a career best 2nd place finish in the Trophee Hassan II with a closing round of 63! 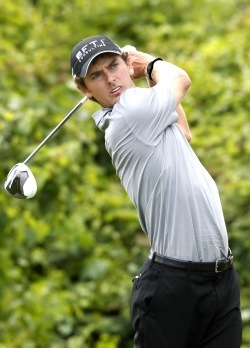 Charles Howell III was born on June 20, 1979. He started playing golf at the young age of 7 years old and played several professional events as an amateur; Charles competing in his first PGA Tour event at the young age of 17. He ultimately turned professional in the year 2000 at the age of 21 years old. In his professional career he has won 2 tournaments including the: Michelob Championship at Kingsmill in 2002 and Nissan Open in 2007. He has been a skilled and consistent professional golfer making the cut in more than 75 % of the time and has been in the top 25 in over 35 % of the tournaments he has played in. 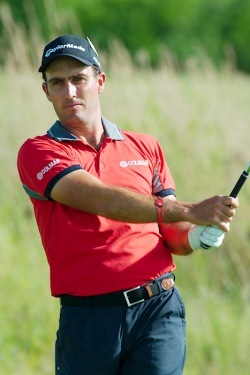 Charles Howell III signed an endorsement deal with Colantotte in February of 2014. He has been a long time wearer of Colantotte products including their earlier product the Wacle Loop Supporter. In 2014 Howell’s product of choice is the Boost Wristband. Charley showed a talent for ‘swinging a golf club’ from the age of 3 years. She joined Kettering Golf Club in 2003 at age 7 and first gained international recognition at age 9, when she entered and won the LGU Health Perception British Women’s Amateur Championship. Some 26,000 women golfers from 1,300 golf clubs entered the first round. Charley comfortably won the local and regional qualifiers and played against the last 14 women on the Ailsa course at Turnberry. In horrendous weather conditions she beat a much older and experienced player on the 2nd hole of a play off. Charley was invited to join Woburn Golf Club in 2009 and she set a new ladies course record when winning the Ladies Club Championship in 2010, on the championship Duke’s course, with an 8 under par round, beating the previous record by 4 shots. Since the early days, and in the many interviews with a host of media commentators, Charley has clearly stated that she wants to be a professional golfer and the number one in the World, this attitude has never changed. Each winter, her dad and coaches discuss her training programme and set targets for the year. In early 2009 it was agreed that she should gain experience against the best amateur women and girl golfers in the UK and Europe and that she should enter as many of the British Women’s Order of Merit stroke play events and LGU championships as possible. It was also agreed that she should try to reduce her handicap on championship courses rather than Kettering where she was regularly breaking par. She decreased her handicap from 2 to + 3 in between September 2009 and September 2010. Her current playing handicap is +4.3. Derek Ernst was born in Woodland California on May 16, 1990. He started playing golf at a young age which led to him playing on the college golf team at University of Nevada, Las Vegas where he was a four-time All-American and was twice named Mountain West Conference player of the year. Ernst represented the United States at the 2012 Palmer Cup, and he turned pro following the 2012 U.S. Amateur. Ernst joined the PGA Tour after completing the four stages of qualifying school where he earned a 2013 PGA Tour card. 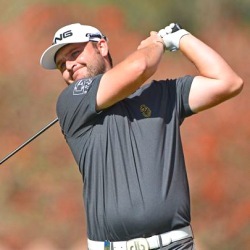 Within a few months of joining the PGA Tour, Ernst celebrated his first professional victory at the Wells Fargo Championship in 2013, where he won with a par on the first playoff hole of the tournament. Ernst signed an endorsement deal with Colantotte in April of 2014. His Colantotte product of choice is the Trion:Z Duo-loop Wristband. Hudson Swafford was born in Lakeland, Florida on September 9, 1987. He started playing golf at a young age which led to him playing at the University of Georgia. 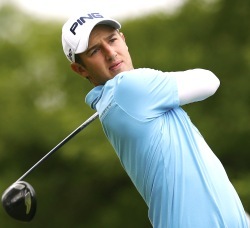 In 2011 after graduating, Swafford turned professional and joined the Nationwide Tour. 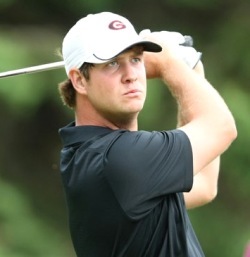 In 2012 Swafford had his first professional victory at the Stadion Classic at UGA. Hudson Swafford signed an endorsement deal with Colantotte in April of 2014. Swafford’s Colantotte product of choice is the Trion:Z Acti-Loop Wristband. Morgan Hoffmann was born on August 11, 1989 in Franklin Lakes NJ. He grew up playing golf a young age won 2 consecutive New Jersey State Golf Championships. After this success he relocated to South Carolina to the International Junior Golf Academy in Hilton Head to further his golf training. After completing high school, Morgan played on the Oklahoma State University golf team, where he attended classes for two years. As a highly-rated amateur, he held the number one spot in the World Amateur Golf Ranking for a time in 2009, and played in that year's Walker Cup. Before joining the PGA Tour, he started his professional career on the web.com Tour in 2012. At the beginning of his professional career he had no status, but ended that year 19th on the money list having only played in 13 events. In his professional career he has finished in the top 25, in 10 of the 35 events he has played in. Morgan Hoffmann signed an endorsement deal with Colantotte in February of 2014. He is currently wearing the Trion:Z Loop / Trion:Z Loop Active Wristband on tour.